When we were in the outer Hebrides in Scotland one of the craft shops we visited had these wreaths which made use of the off cuts of Harris Tweed. The wreaths are very simply made by knotting the scraps onto a wire ring. In Stornaway I purchased some Harris Tweed off cuts to make such a wreath for Christmas but didn’t quite get around to it this year so I will need to make sure I make it next year. 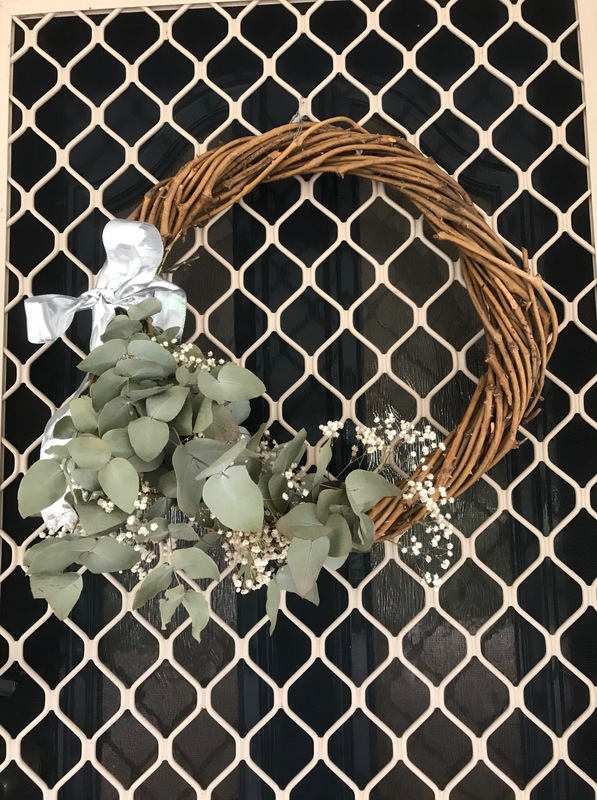 This year’s wreath was a simple Australian one featuring penny gumleaves and baby’s breath. 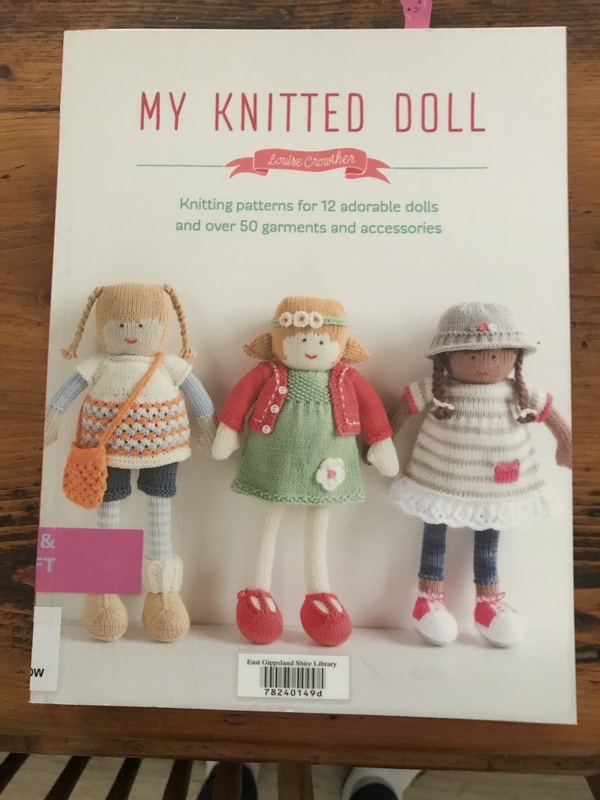 Over the years I have made a few dolls for children and grandchildren but I have never knitted a doll. I borrowed this book from the library. The picture on the cover attracted my attention. I have been watching a lot of cricket recently and I like to have some knitting to do while watching the cricket. 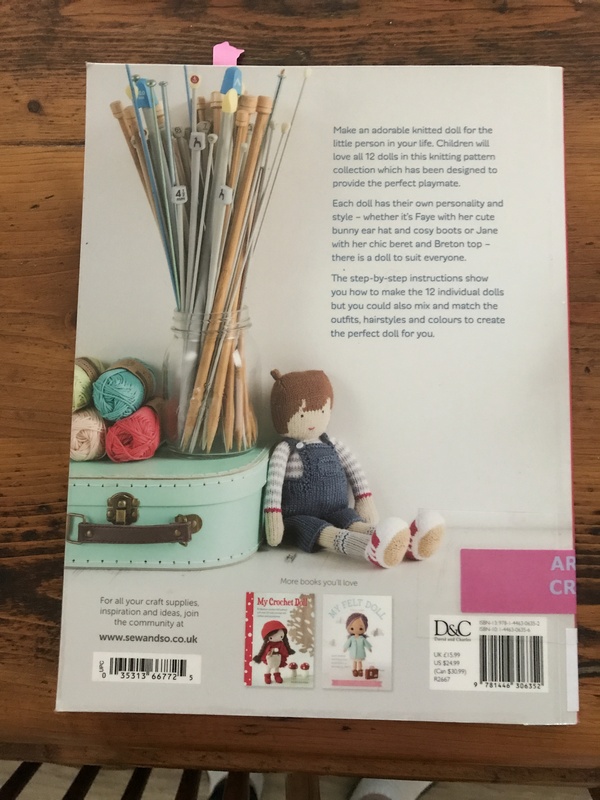 I have chosen to knit the doll in the middle of the illustration but have chosen different colours as I am using up scraps of cotton from previous projects. 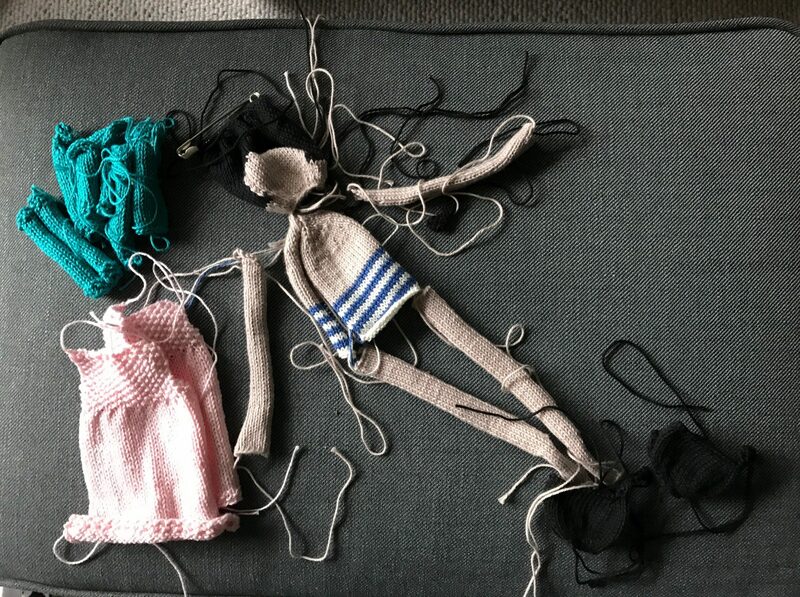 I have knitted all the pieces for the doll but now comes the part that requires full concentration – joining all the bits together. The instructions in the book are given in great detail so I should be able to make a good job of it. My birthday is on Boxing Day so it is at that busy time of the year but I never get forgotten. One of the gifts I received this birthday was this lovely handmade one. 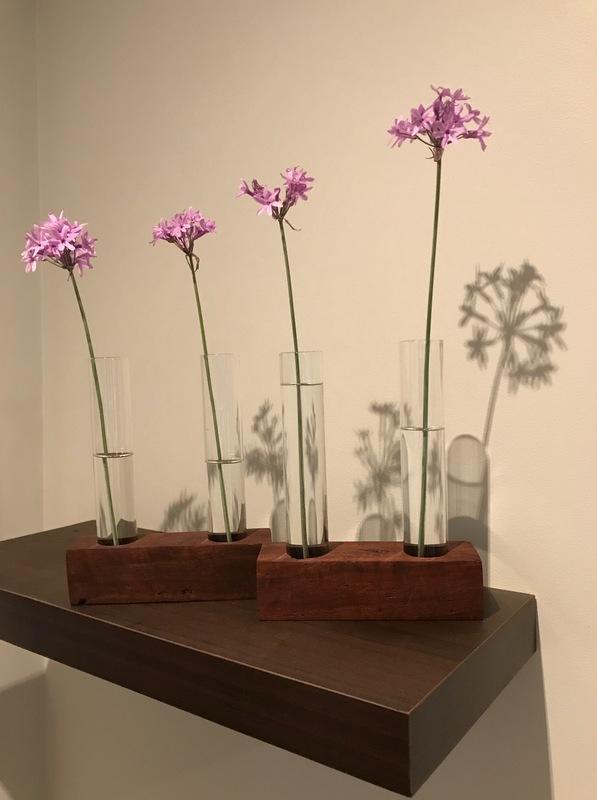 I had seen the glass vases in Ikea when I was there with my daughter and I had said that I thought they were a great idea for flower arrangements. My daughter must have bought the vases at the time, I didn’t really take much notice. Anyway I received this present for my birthday, along with many other lovely gifts. 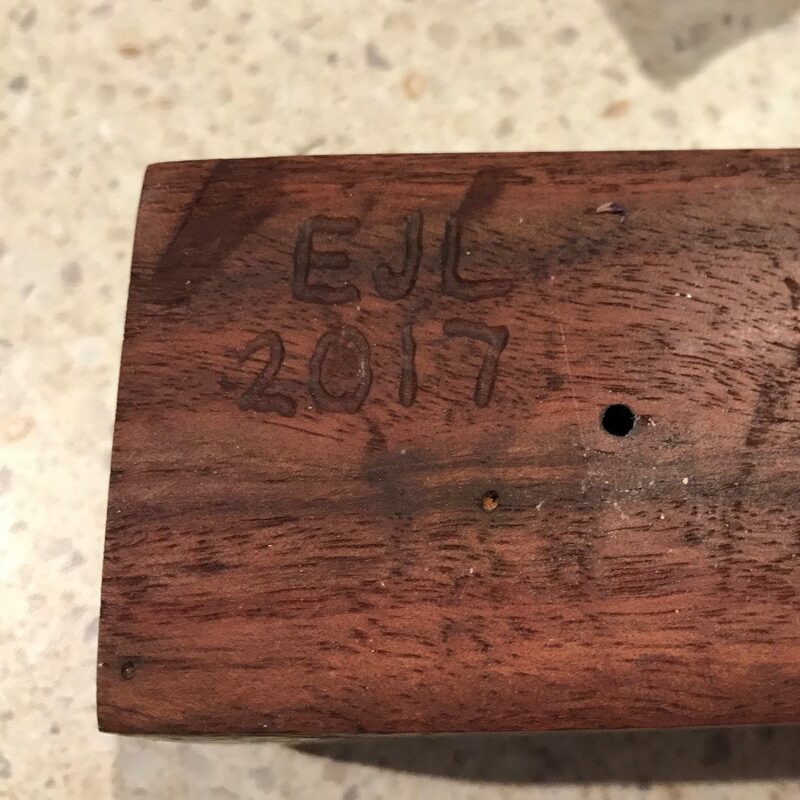 My eldest granddaughter had made the bases by hand, shaping and planing the wood and then drilling out the holes for the glass tubes. I was thrilled with the result. She even signed her work on the bottom of the bases. Thank you Emma. There is an exhibition on at the East Gippsland Art Gallery until the 4th November 2017. 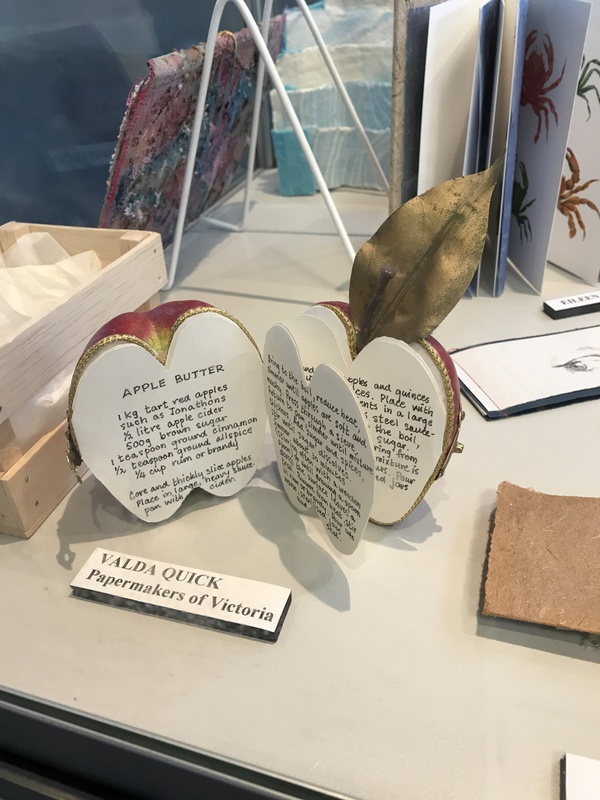 Now that I have seen the small display in the library at Lakes Entrance I will make sure I go to the Gallery in Bairnsdale to see their exhibition. I had no idea that there was such a thing as Paper Arts Gippsland East. 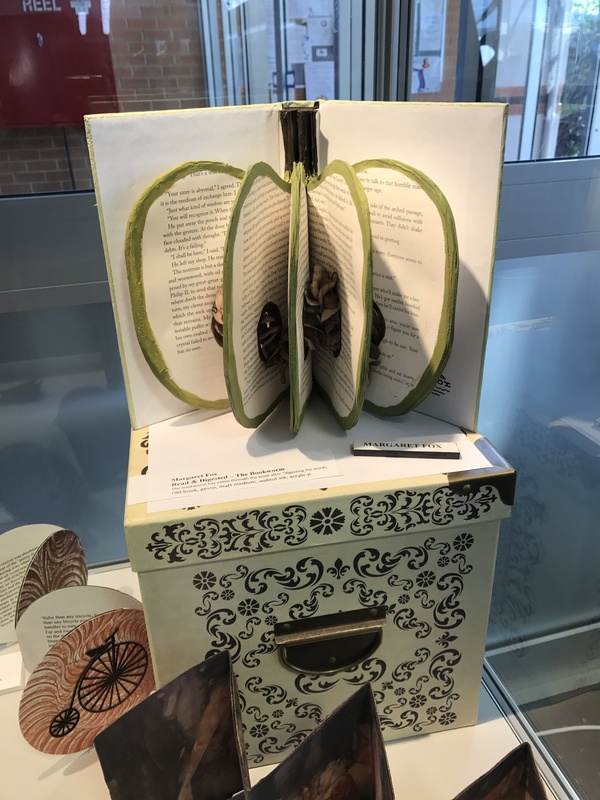 Here is a look at a couple of the items on display in the library. This is a frame up. My younger daughter asked me if I would do some framing for her and I was delighted to be able to do so now that I have moulding. 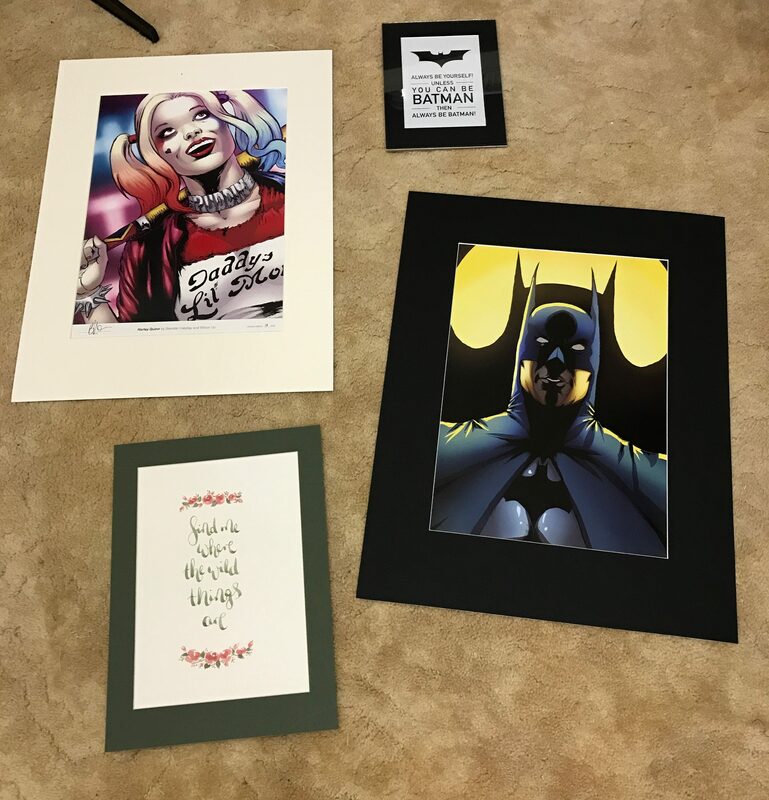 She had given me some prints that she had and I had one saying that I wanted to frame so thought I would do them all together. I have cut out all the framing mats and I have cut the glass for the small print but that is as far as I have got at the moment. Next step will be to cut out the glass and to make the frames. After I had finished cutting out these mats I found another print rolled up that I had forgotten about so I will need to make the mat for that one too. I really enjoy framing when I have moulding available to use. I also have a print of my own that I will frame when I have finished these. 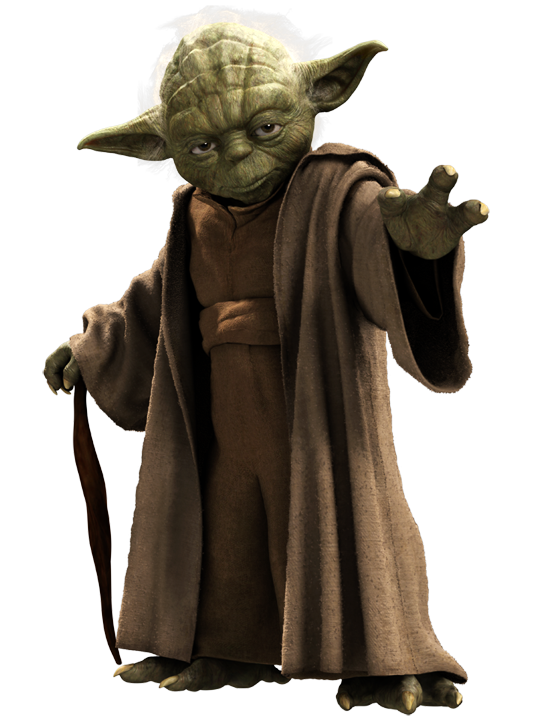 This little creature, just incase you don’t recognise it, is Yoda. He is a Star Wars character. 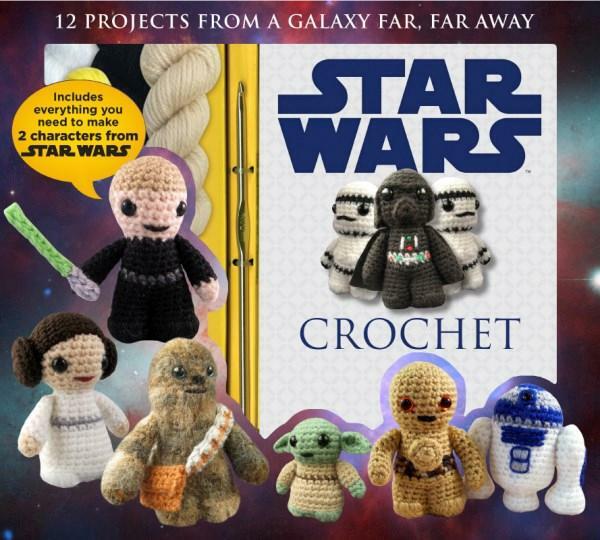 My younger daughter was given a crochet kit as a gift at Christmas 2015 and she has not got around to making anything from it. While we were staying with her before Christmas I asked if she had anything I could craft as I didn’t have a project on the go and this is the result. 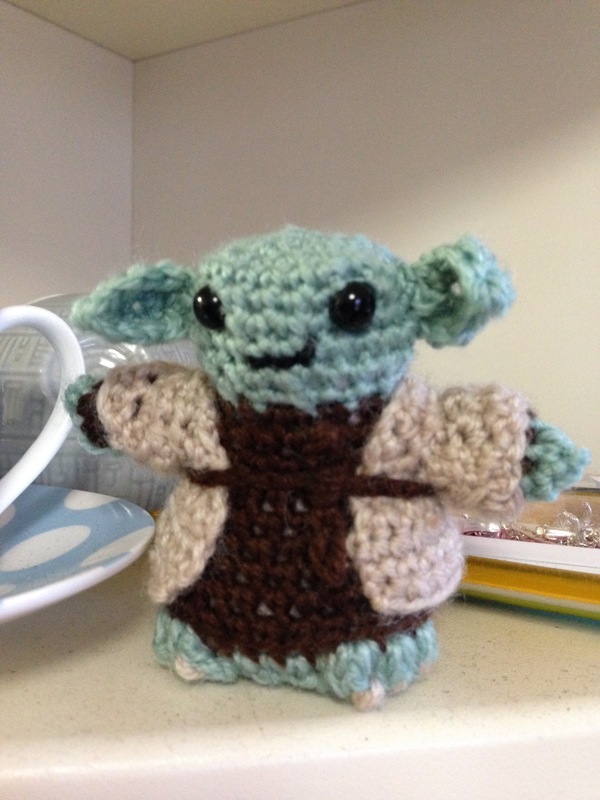 I chose the smallest character from the kit and it was a bit of a fiddle but I learnt some new aspects of crochet while completing it. That has got to be a good result.